This piece of fanart is part of Bunnitch month spearheaded by my most beloved friend and fellow DeviantArtist, BrickercupMasterX3. Sit back, relax, and enjoy. 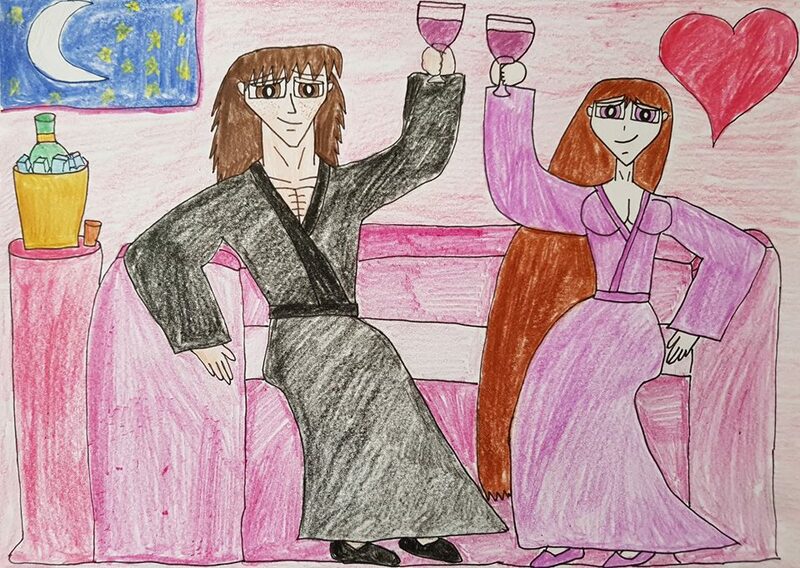 Speaking of sitting back, relaxing, and enjoying, it looks like our most beloved vigilantes of Citysville, the rockingly awesome Mitch “The Persecutor” Mitchelson and his darling wife Bunny “The Bouncing Mountain” Utonium-Mitchelson, are having some quiet time with some Pinot Noir while the babies are asleep in their cribs in the neighboring room. 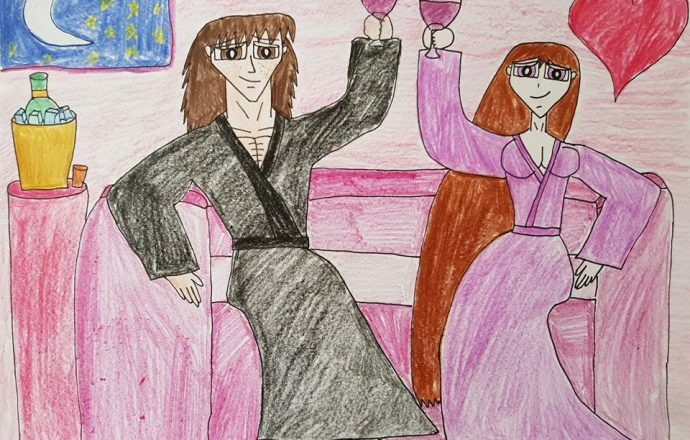 These two are certainly living it up, as there are some perks and rewards when it comes to being such a super duo and cleaning up Citysville’s crime rate with flying colors. Mitch Mitchelson and Bunny Utonium from The Powerpuff Girls belong to Craig McCracken and Cartoon Network.